Who is excited for the up and coming release of The Hunger Games: Mockingjay-Part 2 on November 20th? Hopefully, if you are reading this, you are. 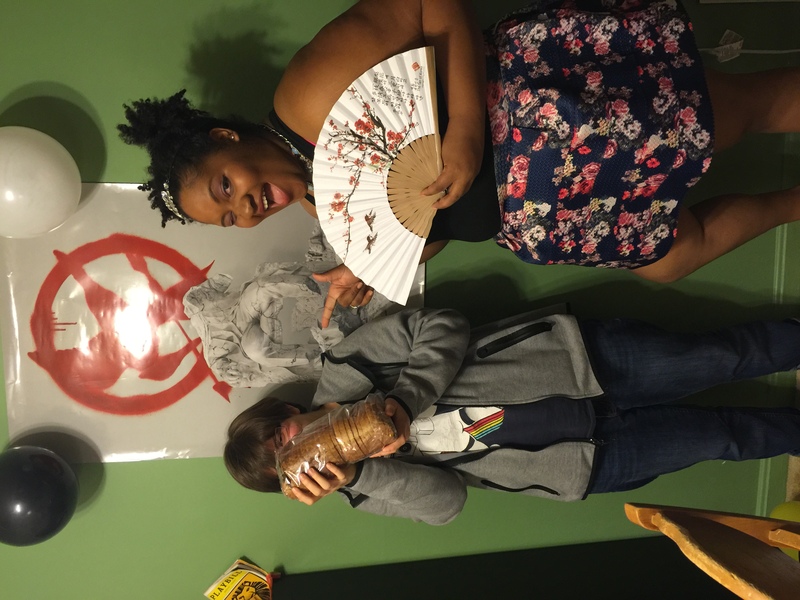 I have to admit that I can barely contain my excitement so, of course, I had to through a pre-release Mockingjay themed party! For anyone who knows me even remotely well, they know that Effie has always been my absolute favorite character throughout The Hunger Games series. From her super glam style to her high-duchess attitude, Effie continues to win my affection with every scene that she is in! 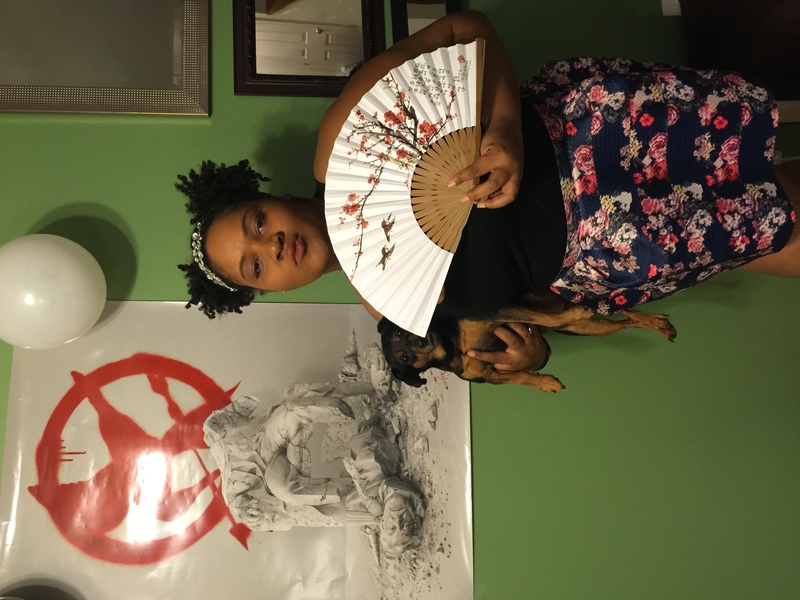 So, of course, when the chance arose for me to have a Mockingjay pre-release party, I had to dress up as Effie and no one questioned me, either. 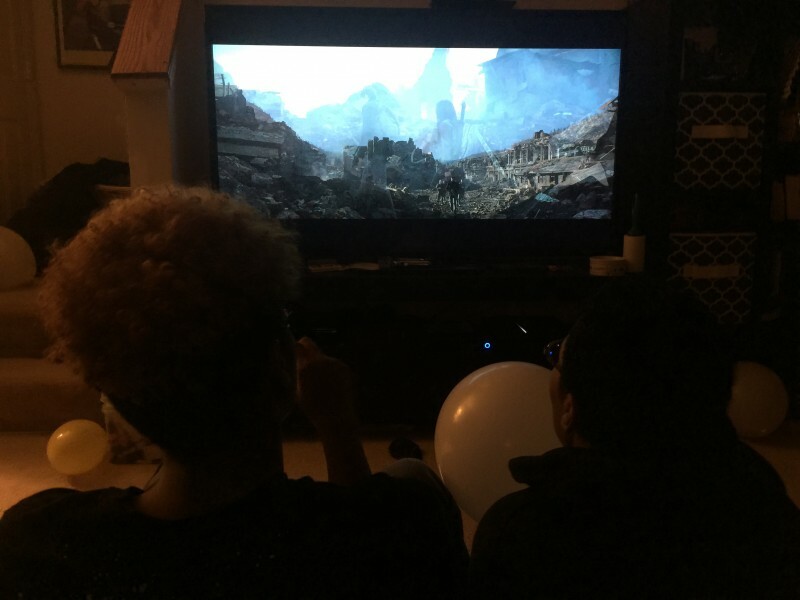 The party itself turned out great. I party that, in my opinion, the Capital would be pretty impressed with! Peeta Mallark even showed up with his signature bread. Although he was quite shy in the picture, I can assure you, he had a wonderful time. I was able to get my hand on some of the yummiest pizza in town along with a dozen chocolate and vanilla cupcakes! 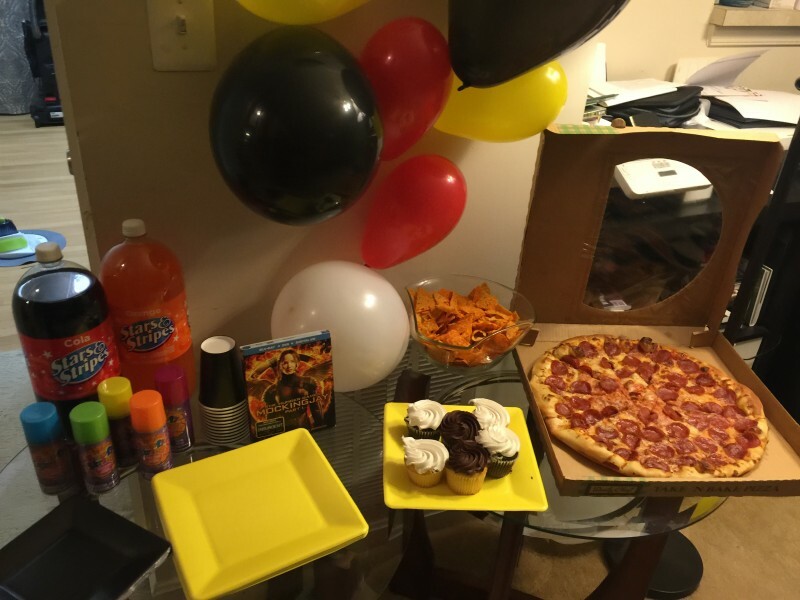 I was very happy with how the party turned out. 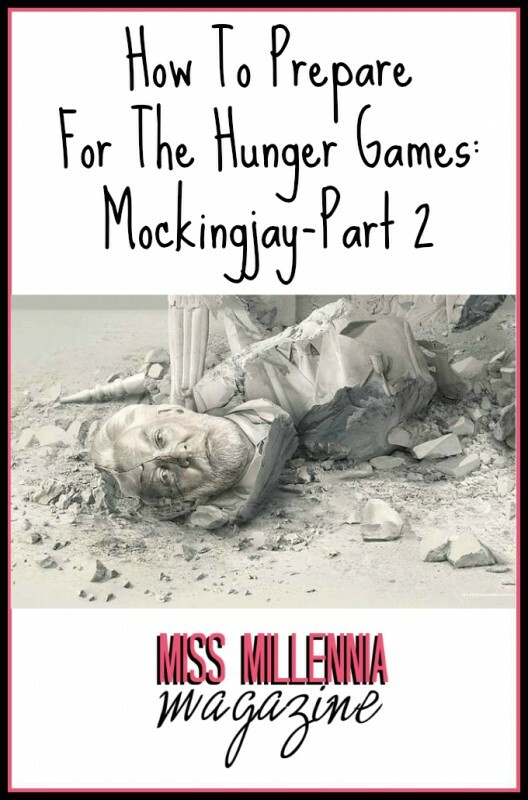 What would a Mockingjay pre-release party be without the upcoming Mockingjay finale? I know that a lot of you could not make it to my party, so here is the trailer (just in case you have not seen it yet). What did you think? Let me sum it up for you: Team Mockingjay, that includes Katniss played by Jennifer Lawrence, Gale by Liam Hemsworth, Finnick played by Sam Claflin, and Peeta played by Josh Hutcherson, embarks on the mission to finally take down the Capital. They all risks their lives by leaving District 13 in order to attempt the assassination of the evil President Snow. I-C is hosting an awesome contest! You, as a reader, can win one of five Fandango gift cards that are worth $100 in order to purchase tickets for The Hunger Games: Mockingjay-Part 2. The contest has been open since the 4th of November and it will end on the 22nd of this month. So hurry and enter! You can choose the way that you enter by using the social media amplification tool below. I am so excited to finally see how this will all end. Make sure you see it opening weekend so that you can avoid annoying spoilers. See you at the theater!